I ordered MiFi2 hotspot last year for the price $39.99, it worked well until last week - I now cannot connect to network normally, or get internet access to my laptop. 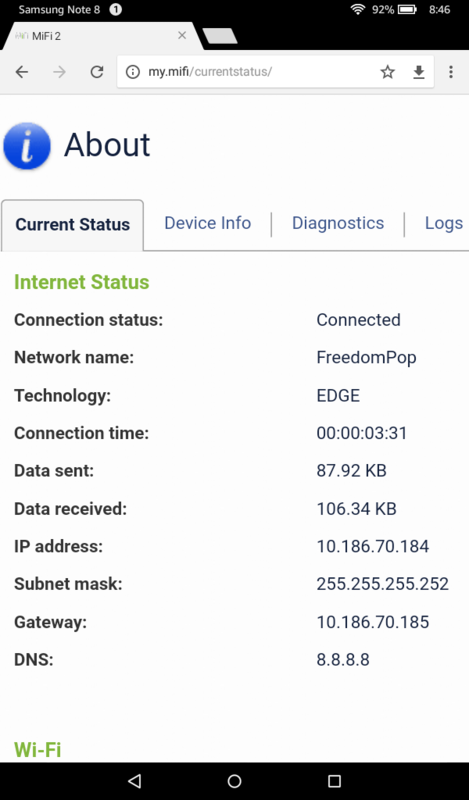 I carefully check all the settings, RESET the hotspot, but no Internet access even it may occasionally show me "FreedomPop GSM" on the top of the hotspot. Most of time it shows me "No service" but if I go into settings, under Network technology I change to "4G,3G,2G" and restart it, I can see "FreedomPop GSM" coming back, just NO Internet access at all. This is a DATA only SIM card. Ironically I went to my account - it shows me from 10-20MB usage during the test time. My account is in good condition, no error, payment is clear, credit card is up-to-date. To further test the hotspot I swapped another Global SIM card (3-in-one, good status, using the same APN freedompop.foggmobile.com) - I got the same result. No Internet access but certain data usage showing up on that card too. Vise versa I test the DATA only SIM card on an unlocked phone, it works for me. The unit is in good condition and never drop or damage. It just happened to no Internet access. How to fix this issue? It appears that Fpop has dropped (actually Three in the UK) service with AT&T and is now solely with T-MOBILE via the Global sim. @mio310 - do you know which frequency bands your phone supports? If the FP Global SIM worked in the phone, but not the Mifi2, perhaps it was using the AWS 1700/2100 3G bands, which the Mifi2 doesn't support? On the other hand, if the MiFi2 actually managed to pull some data whilst it was trying to connect, that would seem to indicate that it's connecting, but failing to register. 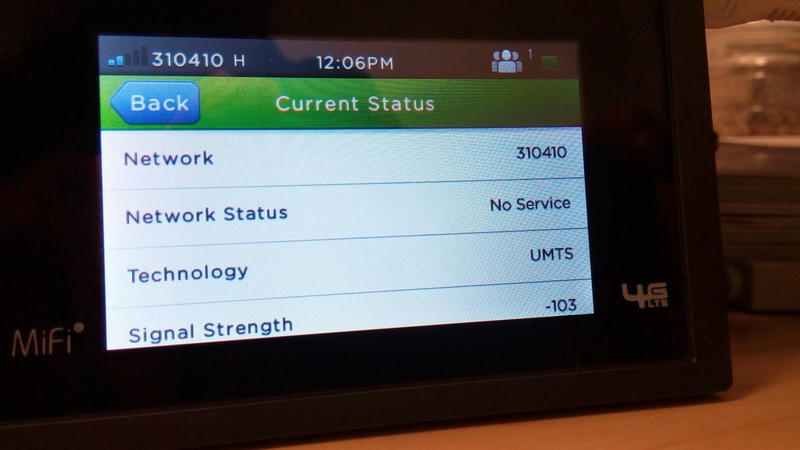 My own Mifi2 is currently connecting to T-Mob without problems, so there isn't a system-wide issue. Yes I can confirm it pulls data while trying to connect (but fail). The account usage shows 10-20MB usage or so. (the account is in good status). What I don't understand is my Global SIM is registered via 3 UK (freedompop.foggmobile.com) for a year and the problem seems ONLY recent. May I know your APN setting if FP used something new for the MiFi2/Global combination? 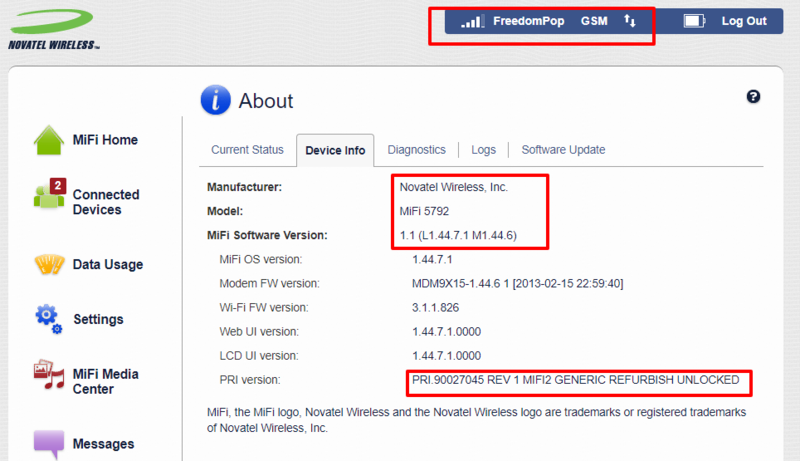 The APN on my Mifi2 is unchanged from the freedompop.foggmobile.com that it was setup with when delivered. The effect of the changes with AT&T connections first started being reported back around May/June, so it probably isn't that. Since then mine has only ever reported connecting to T-Mobile (interesting that you mention yours showing Freedompop GSM - I've never seen that on the Mifi2). 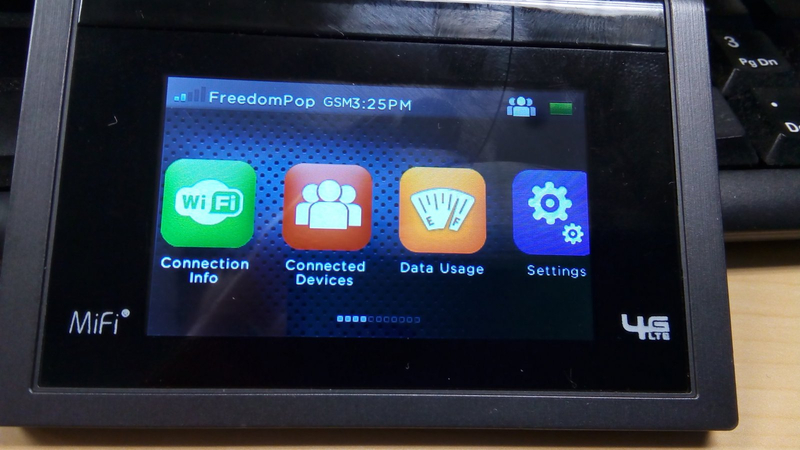 I also have a couple of Global SIMs that I use with GSM phones - I have experienced that these occasionally refuse to connect, until I manually do a search for networks & re-select the Freedompop network. It seems to happen somewhat randomly, possibly more often after the SIM hasn't been used for a few weeks - but I've always been able to get a connection in the end. 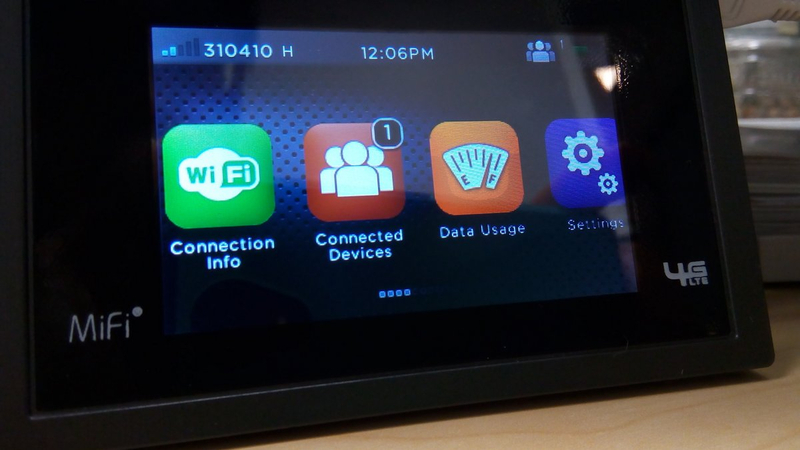 The Mifi2 usually connects without issue, though. Have you been able to try the Mifi2 in a different location? I am in New Jersey - close to NYC area so I will say I am in a good coverage area. I do not change location significantly but I do test it in three different towns. Only the MiFi2 comes with no connection (plug the same SIM card to the phone - I got Internet! ). See my screenshot - maybe the MiFi2 sticks on the GSM that is no longer working? I did scan the network but if I select the other "Utran" it will change to "FreedomPop" - same result - no access at all. UPDATE: After turned on the MiFi2 and waiting for over an hour, I did see some web stuff showing up on my laptop of ANY web page - it loads the web page at an ultra slow turtle-turtle speed and make the surfing totally unusable. This can also a proof that the MiFi2 hardware is working but something in between the network, SIM, hardware....... etc. has certain issue. I noticed they try to ask you to upgrade to LET SIM for Global SIM card, but how about this particular hardware to do with? Sounds like it's getting a 2G signal - what does it report from the device's home page->About tab ? Oddly enough, I just powered my unit up & on the first try it didn't get any network - powered it off & on again & it picked up T-Mob's HSPA+ as usual. 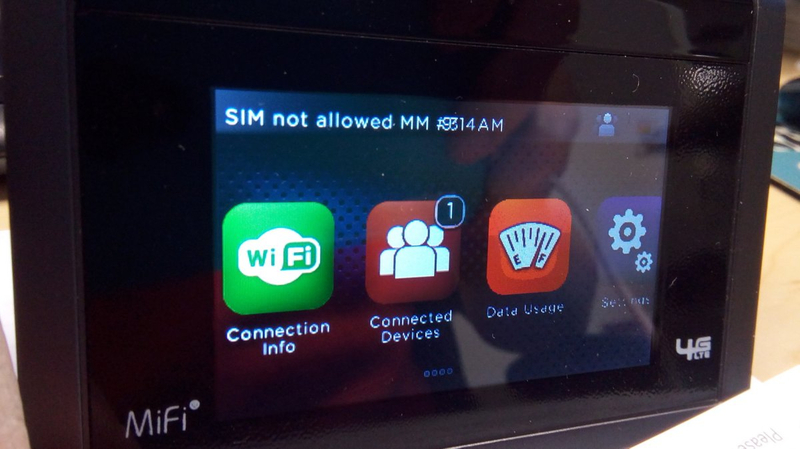 Be aware that issues have been reported using the FP LTE SIM with the FP Global Mifi2 - mostly with getting LTE to work, but a recent thread also described issues getting 2G & 3G to work. 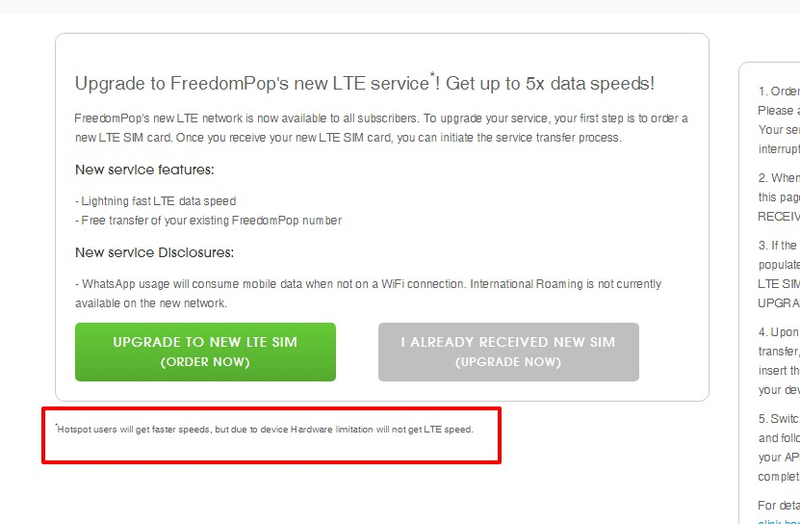 I found this thread - https://forums.freedompop.com/us/discussion/16736/not-connecting-to-internet seems a lot people have the same issue within these two months. 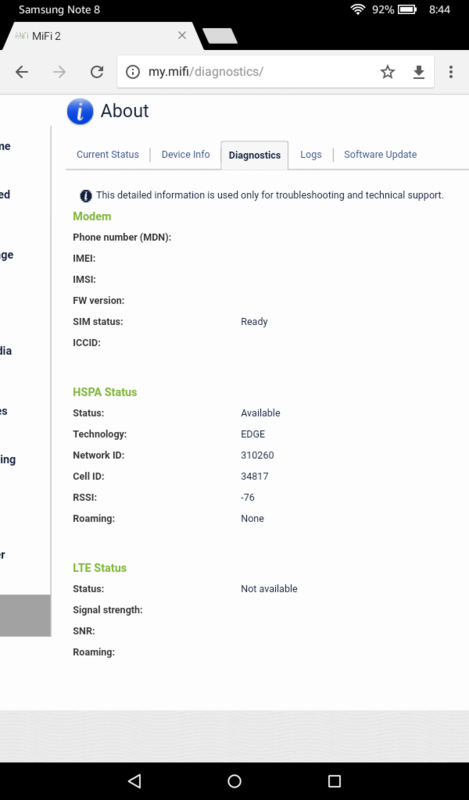 I have no way to see anything like people said "T-Mob's HSPA+" in my device. @mio310 - just curious, what does it show under About->Device Info? Any clue? I do not have Internet access for over a week already except those spotty, slow and useless web rendering. Looks identical to my unit - I was wondering if yours had a different firmware release. If you haven't already done so, submit a ticket at http://support.freedompop.com - it'll probably take support the best part of a week to respond, so it's worth doing now. If it's some oddball account issue, they might be able fix it, or report if there's any tower issues in your location. I'd set the Settings->Mobile Settings Technology back to Automatic & check that International Roaming is set to ON, just because that's how the unit's normally ship. Not sure what else to try. If I think of anything, I'll post it. Thanks @limey - Today (11/6) it's my first time seeing this error message "SIM IS NOT ALLOWED". The MiFi 2 hotspot I spent $39.99 seems soon will be a brick...? I posted a ticket to the support hope I can have it solved - maybe a forced LTE SIM upgrade they will ask to do? And people have problem with MIFI2+LTE too. Does the SIM still work with your phone? Alternatively, do you have another operator's SIM that you could try with the MiFi2? 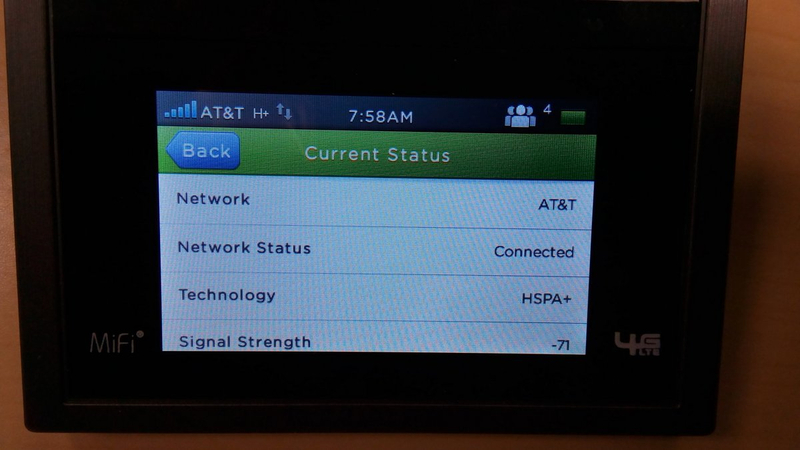 The FP units are typically unlocked (as shown on the device info page), so should work other network's SIM, provided they use bands that the MiFi2 supports. Of course - no service. As of now just for TRYING to get connect during the past week, it drained 110+ MB from my account for getting nothing. Weird enough! I decided to move on - I put this Data only SIM to my phone, vola! It works! I googled and read about during August 15, T-mobile was shutting down some towers. That should be why. "T-Mobile is shutting down HSPA+ (3G) on the 1900 Mhz frequency (also known as Band 2 or PCS) to make room for more LTE on that frequency instead. Thus, the global SIM is losing coverage among the more urban areas of the country, depending on which phone you're using. " 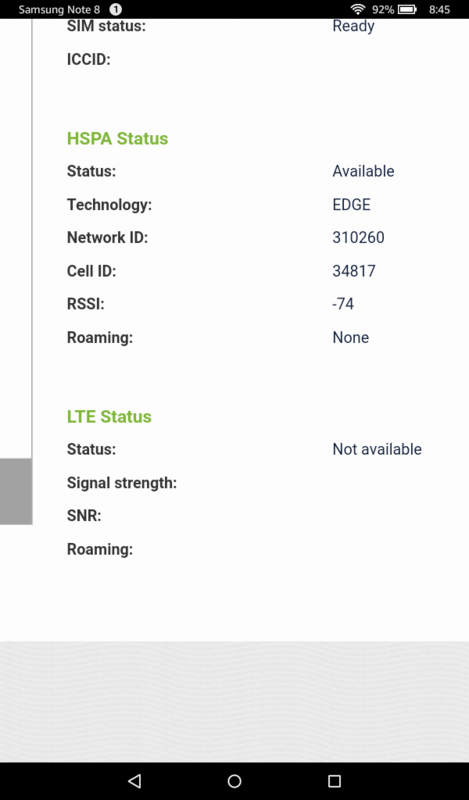 Just tried a LTE SIM, changed the APN, it works in AT&T HSPA+ mode. It does sound like that could be what is happening, since you're in/near one of the major metro areas & would likely receive frequency re-farming earlier, especially in areas with multiple 3G bands in concurrent use. Your phone must be capable of picking up T-Mob's 3G on a band that the MiFi2 doesn't support. At some point 3G data will go away everywhere (even outside the USA) & the 3G limited Global SIM will be functionally dead - I hope that FP come up with an LTE equivalent at some point. I did set to automatically under mobile technology, but apparently I have also go to network selection, manually scan and pick the UTRAN one from AT&T, then I get Internet access. The "auto scan" network does not work for me. So LTE? I don't think so at this moment. "*Hotspot users will get faster speeds, but due to device Hardware limitation will not get LTE speed." I finally got the mandatory upgrade email TWO weeks ago and immediately did it and received the SIM card within 5 days. Unfortunately when I follow the migrate the first step to validate the SIM care is failed! I cannot even start the migration. The site states "invalid SIM" with the system pre-filled CCID. I also tried to manually enter (although it's identical) CCID the system will not allow me proceed. I opened a ticket, but never hear back from anyone for a week. Can anyone here to help?